Every Day, Another Song: Stone Temple Pilots Fire Scott Weiland, Pick up Linkin Park's Chester Bennington. Stone Temple Pilots Fire Scott Weiland, Pick up Linkin Park's Chester Bennington. 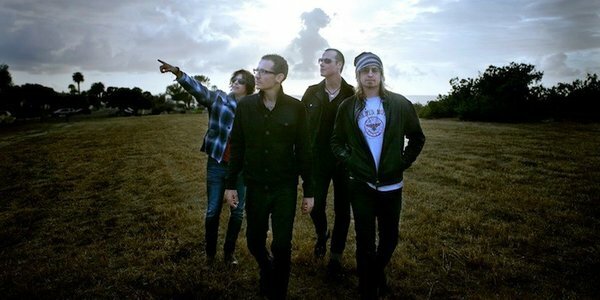 On of my favorite bands growing up, Stone Temple Pilots, have cut ties with their longstanding frontman, Scott Weiland. His history of substance issues and unreliability had caused internal stress within the band, but somehow I think this solo tour playing the band's material broke the camels back. In his stead, Linkin Park's Chester Bennington has joined up with the remaining guys to release a new STP song. I was never much of a fan of Linkin Park but Bennington actually replaces Weiland quite well vocally. I certainly don't remember as much yelling, and the song definitely suffers from a lack of Weiland's lyrical approach, however if you are begging for more music from Eric Kretz and the DeLeo Brothers, there could be much more where this is coming from.